Our LearningExpress Library™ platform provides a comprehensive selection of educational resources— including more than 800 tutorials, practice exams, and eBooks. Learning Express – Adult Learning Center This center offers busy adults the resources to improve their basic skills in reading, writing, and math, prepare for the GED® test, or become a U.S. citizen. 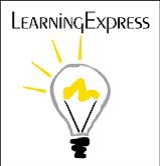 Learning Express – Career Center Are you preparing for a professional exam? Are you curious about a particular occupation or looking to improve your workplace skills? Choose the Career Center and begin your path to a bright future. Learning Express – College Center This center provides valuable resources that help college students strengthen their academic skills, prepare for placement tests, and get ready for graduate school entrance exams. Learning Express – College Prep Center College Prep Center Getting into college is an important step to building a strong future. First, you must do well on your college admission tests and write a personal essay that highlights your special talents. Use this center to get the resources you need to achieve your college preparation goals. Learning Express – Computer Skills Video courses are the fastest and easiest way to learn how to use a computer. Use the materials in this center to learn the basics of computers, from searching the Internet to using popular programs for word processing, creating spreadsheets and databases, implementing design, and more. Learning Express – High School Equivalency Center Earning a high school equivalency credential can open the door to better income, a more fulfilling job, and a college education. If you are preparing for the GED® test, HiSET® or TASC™ exams, our practice tests, interactive tutorials, and eBooks will help you reach your goal. Learning Express – Recursos para Hispanohablantes Este centro ofrece a los adultos que están muy ocupados los recursos para mejorar sus habilidades básicas, ganar sus credenciales de GED® o ser ciudadano estadounidense. Learning Express – School Center The resources here can help students in elementary, middle, and high school prepare for important tests, get extra help with assignments, and boost their skills in important subjects. To register from a computer in your library, simply click the New User? Register Now link on the landing page. On the following page, enter your name and email address, create a password, read and accept the disclosure agreement and click Register. LearningExpress Library™ 3.0 is an online resource accessible from the Library’s website. You may browse the site before registering, but once you locate a resource you’d like to use, you will be prompted to register before you can access it. Registration enables you to store any tests, eBooks, or tutorials for future use. If you are on a computer outside of the Library’s network (at home), you must access LearningExpress Library™ 3.0 from the link on your library’s website. You may be asked to enter your library card number. For future visits to the site, you can simply login as a Returning User with your email address and the password you created at registration.